A driver was arrested for the suspicion of driving while intoxicated following a rollover crash Sunday night. 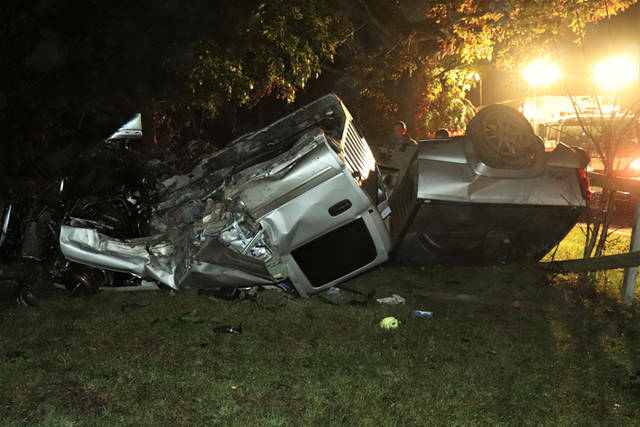 ADAMS TOWNSHIP – A driver was arrested for the suspicion of driving while intoxicated when he failed a field sobriety test late Sunday night after being involved in a rollover accident. 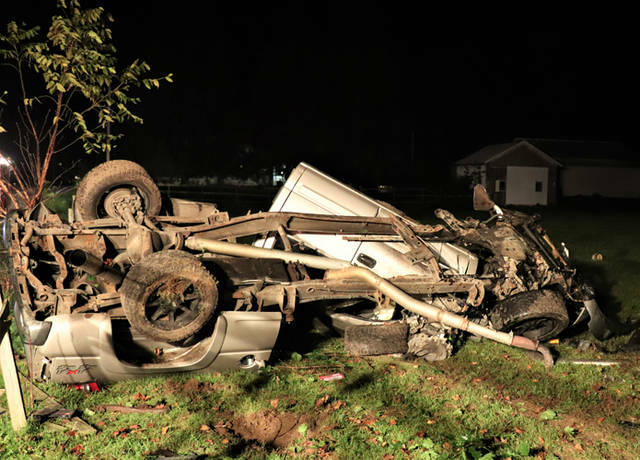 At approximately 11:15 p.m., emergency personnel from Gettysburg Fire and Rescue along with deputies from the Darke County Sheriff’s Department were dispatched to the area of Hahn and Mill roads in regards to a rollover accident with possible injuries. According to the Darke County Sheriff’s Office, a silver Chevy Silverado was traveling southbound on Hahn Road when it failed to negotiate a turn near 6454 Hahn Road, going off the right side of the roadway. 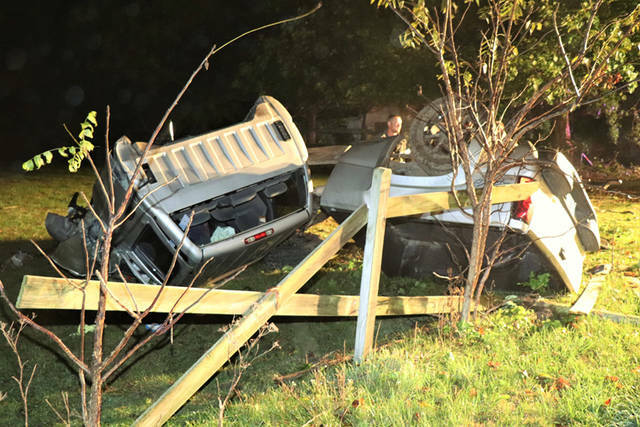 The vehicle is believed to have rolled at least once before going through a wooden fence and coming to rest in a field. The male driver, and lone occupant of the vehicle, was treated and released from the scene for minor injuries by Gettysburg Rescue after refusing transport to a hospital and signing a refusal. Darke County deputies, suspecting that alcohol was involved in the incident, performed a field sobriety test on the driver that he failed, leading to him being placed under arrest for the suspicion of DWI. The driver then was transported from the scene to the Darke County Sheriff’s Department for further testing. A female bystander, who deputies said was not involved in the accident, was transported to Upper Valley Medical Center by Gettysburg Rescue when she passed out at the scene. It is the deputies’ understanding that her condition is an unrelated and a separate incident all together. 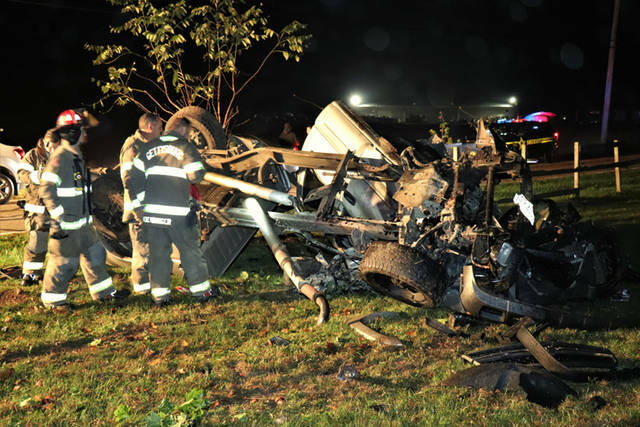 This entry was tagged Adams Township, arrest, crash, Darke County Sheriff’s Department, DWI, Field sobriety test, Gettysburg Fire and Rescue, Gettysburg Fire Department, Gettysburg Rescue, Upper Valley Medical Center. Bookmark the permalink.